You will be impressed by all this home has to offer, it starts with the 2754 square feet on the main level! The rooms are spacious, the kitchen has beautiful cabinetry, granite counters, stainless appliances, and casual dining area. Light pours in through the wall of windows in the great room/dining area with handsome stone fireplace and soaring vaulted ceiling. There is a separate office with doors for those who work from home or use as a den. The master suite does not disappoint with plenty of room and sliding doors to deck. Downstairs has a large family room with second fireplace and wetbar. Also, there are 2 bedrooms each with private bath, tons of storage and a golf cart garage. You can enjoy views of the iconic 18th fairway of Tom Fazio's Mountain Masterpiece from the huge brand new Trex deck or the cozy screened porch. It also has a fenced area for the pups and a natural gas generator. Located close to the Clubhouse and all the amenities,8 minutes to downtown Hendersonville. I have a question about the property at 123 Chattooga Run Hendersonville NC 28739 (#3494251). I would like to schedule a visit for the property at 123 Chattooga Run Hendersonville NC 28739 (#3494251). I have a question about the property at 201 Shadybrook Trail Hendersonville NC 28739 (#3431159). I would like to schedule a visit for the property at 201 Shadybrook Trail Hendersonville NC 28739 (#3431159). I have a question about the property at 20 Village Oak Drive Arden NC 28704 (#3405326). I would like to schedule a visit for the property at 20 Village Oak Drive Arden NC 28704 (#3405326). This townhouse has the key ingredient many look for in real estate...Location! Literally steps away from enjoying fantastic food at the Tavern, teeing it up at our Jack Nicklaus signature golf course or simply attending one of the many socials held at the club. Fine old world finishes with a modern contemporary touch. Large master suite with balcony. Lower level designed for entertaining - fireplace, wet bar, terrace. Southwesterly view looks across Walnut Cove to Pisgah National Forest. I have a question about the property at 28 Village Oak Drive Arden NC 28704 (#3395642). I would like to schedule a visit for the property at 28 Village Oak Drive Arden NC 28704 (#3395642). Idyllic mountain home waiting for you! Main level features open plan, living room w/stone fireplace, hardwood flooring, high ceilings, gourmet kitchen w/Sub-Zero refrigerator & dining area w/built-in wine rack, office/den w/built-in's, spacious rooms, well appointed master suite opens to private sun room. Basement offers two guest suites, family room w/stone fireplace, exercise room, sauna, golf cart garage/workshop. Many updates. Professionally landscaped, water feature, screened porch to enjoy the abundant beauty! I have a question about the property at 77 Old Hickory Trail Hendersonville NC 28739 (#3464041). I would like to schedule a visit for the property at 77 Old Hickory Trail Hendersonville NC 28739 (#3464041). Priced below recent appraisal. Don't miss out on this unique one of a kind opportunity to own a piece of Asheville's history. Step back in time to a home built in the Georgian Revival style in one of Asheville's most desirable and prestigious neighborhoods and streets by L.B. Jackson who is noted for building the first skyscraper in Asheville, the Jackson Building, as well as many other fine North Asheville homes. With the original character of hardwood floors, french doors, original wood moldings & trim, fireplace, walk-in closets, and sunroom. Remodeled kitchen with granite counters new cabinets and new appliances, finished attic & full basement w/ potential guest quarters which could be perfect for an Airbnb or VRBO with it's separate entrance, 5 zone HVAC system, 2 car garage, and corner lot on the Grove Park Golf Course and views of Sunset Mountain, Gove Park Inn and Downtown. Minutes from downtown Asheville, and Mission Hospital. I have a question about the property at 161 Kimberly Avenue Asheville NC 28804 (#3456335). I would like to schedule a visit for the property at 161 Kimberly Avenue Asheville NC 28804 (#3456335). I have a question about the property at 160 Elk Mountain Scenic Highway Asheville NC 28804 (#3476581). I would like to schedule a visit for the property at 160 Elk Mountain Scenic Highway Asheville NC 28804 (#3476581). I have a question about the property at 14 Amherst Road Asheville NC 28803 (#3427312). I would like to schedule a visit for the property at 14 Amherst Road Asheville NC 28803 (#3427312). Beautiful, spacious home in Hendersonville's premiere golf community, Champion Hills! Open, intelligent floor plan features a 2-story great room with abundant natural light and a stunning office with mahogany bookcases. Master bedroom just off of the kitchen has a fireplace, and a bathroom with couples' sinks and separate closets. Walk out of the master bedroom into a screened porch with long-range winter views, which continues into an open deck with an attached grill. The main level is completed by another bedroom with a full bath, and a sitting room with fireplace and bookshelves. The second floor includes two more bedrooms, each with their own full bath, and a loft area. The basement is fully finished, boasting a large living room with fireplace, and a wet bar for entertaining. Outside you will find a covered walkway to a 2-car garage, with a work bench and attic. If you're looking for a community experience, Champion Hills is a wonderful place to make your new home! I have a question about the property at 205 Bent Pine Trace Hendersonville NC 28739 (#3471536). I would like to schedule a visit for the property at 205 Bent Pine Trace Hendersonville NC 28739 (#3471536). I have a question about the property at 14 Foxbridge Way Arden NC 28704 (#3467822). I would like to schedule a visit for the property at 14 Foxbridge Way Arden NC 28704 (#3467822). I have a question about the property at 202 W Chimney Crossing Hendersonville NC 28739 (#3493586). I would like to schedule a visit for the property at 202 W Chimney Crossing Hendersonville NC 28739 (#3493586). I have a question about the property at 120 Kimberly Avenue Asheville NC 28804 (#3460409). I would like to schedule a visit for the property at 120 Kimberly Avenue Asheville NC 28804 (#3460409). I have a question about the property at 523 Hagen Drive Hendersonville NC 28739 (#3468750). I would like to schedule a visit for the property at 523 Hagen Drive Hendersonville NC 28739 (#3468750). I have a question about the property at 48 Black Gum Court Hendersonville NC 28739 (#3425280). I would like to schedule a visit for the property at 48 Black Gum Court Hendersonville NC 28739 (#3425280). Thinking about a spacious home to enjoy all aspects of your life? Look no further than 77 Cummings Cove Parkway in the beautiful development of Cummings Cove Golf Community. With indoor space to park your golf cart, an expansive lower level with space for your billiards or table tennis, or exercise equipment, this home offers it all. With 5 bedrooms and 4 and ½ baths, most with year-round, long range westerly views, look no further. Though the main level of the home offers ample living space including 3 bedrooms and 2 and ½ bathrooms, it is enhanced by the total privacy of the lower level including an extra 2 bedrooms and 1 bathroom. This home also offers a spacious 4-season sunroom on the main level and a large screened, covered patio on the lower level. This listing may not last long, so take a look soon! Total of $222.00 per month for HOA($84), Social($100) and Sewer Fee($38). I have a question about the property at 77 Cummings Cove Parkway Hendersonville NC 28739 (#3455553). I would like to schedule a visit for the property at 77 Cummings Cove Parkway Hendersonville NC 28739 (#3455553). This beautiful Arts & Crafts style home is located on the prestigious 12th hole of Tom Fazio's Mountain Masterpiece golf course in Champion Hills. The welcoming open floorplan makes entertaining a breeze and flows out to the spacious open deck with lovely fairway views. Enjoy the cool evenings on the screened porch conveniently located just off the kitchen. The eat-in kitchen has new stainless appliances, tons of granite countertop and is open to the great room and dining area. The great room has a lofty cathedral ceiling with a wall of windows to bring in plenty of light. It has a large master bedroom with a dream bath! Downstairs there is a family room with built-in desk area, 2 bedrooms with en suites, and unfinished area for workshop or golf cart and storage. The home is set well off the street and has a little stream running through the front yard. All this and 8 minutes from downtown Hendersonville, grocery stores, restaurants, galleries and so much more! I have a question about the property at 155 Chattooga Run Hendersonville NC 28739 (#3470365). I would like to schedule a visit for the property at 155 Chattooga Run Hendersonville NC 28739 (#3470365). Imagine calling this exquisite home your very own! The best lot in the entire neighborhood! Beautiful mountain views, large double lot, and community pond greet you right away. Then step up the brick path to the gracious rocking chair front porch and inside this open and light-filled home. You will notice the attention to detail and craftsmanship at every turn with features such as the wainscoting, high ceilings, stair railings & moldings. The kitchen is truly stunning and you will have every amenity at your fingertips! Continue your entertaining with the large, bricked patio to enjoy fun-filled evenings in your special outdoor surroundings. Large master with fireplace, office, heated sunroom and laundry round out the main level, plus large bedrooms and full bath upstairs. Extended finished space ready to enjoy downstairs as well. 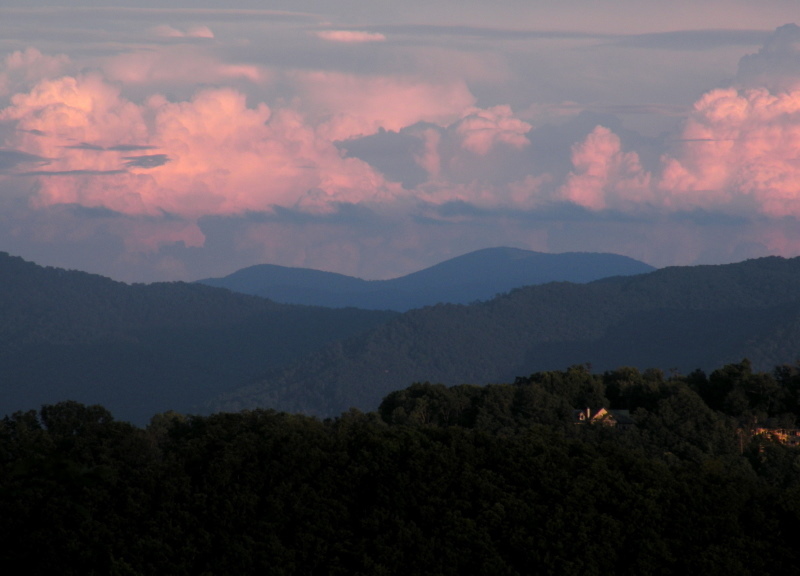 Easy access to Hendersonville, golfing, hiking, & everything the mountains have to offer! I have a question about the property at 200 Gateway Drive Hendersonville NC 28739 (#3486319). I would like to schedule a visit for the property at 200 Gateway Drive Hendersonville NC 28739 (#3486319). I have a question about the property at 131 Windsor Road Asheville NC 28804 (#3496305). I would like to schedule a visit for the property at 131 Windsor Road Asheville NC 28804 (#3496305).